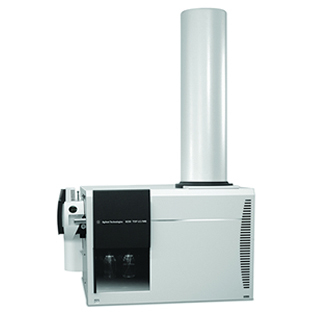 The Agilent 6230 Accurate-Mass Time-of-Flight (TOF) LC/MS system features Agilent Jet Stream Thermal Focusing technology for significantly improved sensitivity, as well as enhanced MassHunter Workstation software for superior data mining and analysis capabilities. These new features, coupled with Agilent’s True High-Definition TOF (True Hi-Def TOF) technology, enable the 6230 Accurate-Mass TOF to deliver exceptional sensitivity, excellent mass accuracy, fast data acquisition, and streamlined qualitative and quantitative analyses to meet your most challenging research needs. The Agilent 6230 Accurate-Mass TOF LC/MS system delivers exceptional MS analyses for applications that demand the highest accurate-mass measurements, without compromising sensitivity and speed. Integration of Agilent Jet Stream Thermal Focusing technology ensures the highest level of sensitivity for your most challenging samples. Powerful new data mining tools in MassHunter Workstation software facilitate profiling, characterization, identification and quantification of compounds in complex mixtures. These performance characteristics enable the 6230 TOF system to support demanding applications such as proteomics, metabolomics, impurity testing, product degradation studies, forensics, food safety, and environmental analyses. Agilent technical innovations - True Hi-Def TOF technology, Agilent Jet Stream Thermal Focusing technology and MassHunter Workstation software the 6230 TOF platform is ideally suited for accurate-mass analyses of the complex samples encountered in today’s most demanding applications. Agilent Jet Stream Thermal Focusing technology significantly increases LC/MS sensitivity by improving the spatial focusing of electrospray droplets. The subsequent enhancements in ion density and desolvation result in higher MS signal intensities and improved signal-to-noise ratios. On average, a 5-fold improvement in MS sensitivity is realized by using Agilent Jet Stream technology at optimal LC flow rates. Easy to use and tune, Agilent Jet Stream technology is available on the 6230 Accurate-Mass TOF LC/MS to provide maximum sensitivity for multiple applications, including the analysis of drug candidates and trace levels of food contaminants, metabolites or biomarkers.